i've the padfone2 about 2 months and friends of mine with S3, iphone's 5 and others, have been amazed. The price its a little high, but it is well spended if you have the money, the phone in self its brilliant, its a shame that thos guys on XDA didnt invest in developing on this machine, will be great with a custom rom to tweak hes performance. The battery life is crazy. It must be due to the use of sharp IGZO display which is power efficient. I wonder why didnt this sell like hot cakes . It actually a pretty device without any major weakness . I agree with GSM Arena's assessment here; this phone is only good if you get the phone AND the tablet. I hope the padfone 3 which will be announced very soon (even though padfone has just entered most markets) raises the standard from its predecessor and challanges the monsters that dominate the smartphone market. Denzo, 21 Feb 2013So happy you did the review GSMarena you are awesome and I am grateful for it. Have to say... moreThe battery test was done with the phone only. 56h on a 2140mAh is prettu impressive isn't it. if battery is 56hrs for 2140 mAH...I Think nexus 4 should learn from it considering it has similar specs with similar battery(2100 mAH). Anonymous, 22 Feb 2013It's unfortunate that today's consumerism message is "the more CPU cores the better"... moreIn sth like an android phone it makes some sense because it is possible to run many things simultaneously. In iPhone or wp it wouldn't matter as much. Now if your app can support 4 cores it wouldn't matter as long as you have other things using the other cores (say one is used for syncing, another is finishing loading app a background app, all the while you're enjoying another app in the foreground. Anonymous, 22 Feb 2013Yeah you are right about one thing. It sure is unique. But awesome? Not at all, it's weird and... moreWell, if you don't like it then fine by me. I support the concept 100% considering i'm the type of guy who loves all-in-one gadgets like this. I don't see the need to buy a separate, independent tablet just so that i can browse the internet, watch movies or play games on it. My phone can do all of that. The only advantage i find with a tablet is the bigger screen. That's it. The Asus Padfone solves that problem perfectly! With this, my docking station is essentially a bigger screen for my phone. No need for separate CPUs, documents, or media files in the tablet, because it's all in my phone! Everything is in sync. Plus, i'll only need one data plan for the phone and tab. It's unfortunate that today's consumerism message is "the more CPU cores the better". On paper it is. CPUs, considered the 'processing' part of a brain (internal memory being the storage part of the brain). So in that sense, it's true that the more, the better. But the software out there just is NOT optimized for multiple core processing. The only mobile app that I know of capable of properly using multiple processing threads right now is Adobe's Photoshop for mobiles. Heck, not even desktop processors are being used properly, despite all the hype of octa and quad core CPUs; the software support at the end of the day is NOT there (not in plentiful amounts at least). There's been huge debate and countless doctoral research papers on optimizing software for multiple processor cores simulatenously. There have been good proposals but they're yet to be properly implemented in real life, because multi-thread optimising is difficult and requires radical app writing technique changes (and the proposals, albeit it novel in approach, don't neccessarily mean good performance, just slight improvements thus far). At the moment at least, when a program or app is sent to the processor its random as to which core does the processing; usually it's CORE1 instead of CORE0 (or CORE2 or CORE3, example being a quad-core CPU), because in computer programming 1 comes before 0. Another thing I should point out as this so misunderstood: a multi-core processor does not automatically sum-up. Like, a dual-core 800MHz processor doesn't mean you'll get 1600MHz worth of processing power. This is because processors work in PARALLEL, not in SERIES. Everyone would've heard of parallel processing at some point in their lives no doubt. So in real-life a dual-core 800MHz processor would have approximately the same raw processing power as a single core 1400MHz processor (maybe less). Yeah. This is turning into a rant. But I cannot see the point in multicore processors. Unless there's some huge breakthrough in programming conventions I honestly don't want to dish out premiums for octa, let alone, quadcore devices. If you do the companies who sold you your octa whatever core phone will end up laughing at you while they take your cash to the bank. Anonymous, 22 Feb 2013Yeah you are right about one thing. It sure is unique. But awesome? Not at all, it's weird and... moreWhat about it is stupid? It's exceptionally clever and it is executed beautifully (no lag, smooth transitions between the two modes), to top it off it's one of the most high end phone/tablets in the market. Granted I do not need it, but I would probably prefer to have one device to do all my jobs if possible (instead of 10 specialized ones). Ideally I could even dual boot ubuntu on it and make it my desktop (HDMI connection/BT mouse-kb) and via miracast my living room's media center. One device to rule them all, one step closer to a tricorder like device. How about samsung making something like this with the galaxy S4 it will be MONSTER of a deal and samsung will be once again top the charts of best selling devices then apple will cry again and there will be more law suits ....lol. 1) While your finger press the shutter key, the phone will move down a little bit. & the picture could be "Blur". 2) Can save the phone space to install the others important phone equipments. the shutter key is a disturbance for handphone. Luke, 21 Feb 2013The padfone 2 is probably the most underrated device in the market today. Such a unique and aw... moreYeah you are right about one thing. It sure is unique. But awesome? Not at all, it's weird and stupid. I don't see the use of this device, what a waste. The good news is that it will stay unique, noone else will make such a failure and Thanx God for that. The padfone 2 is probably the most underrated device in the market today. Such a unique and awesome concept, beastly performance, great camera, stylish design, excellent battery, and good audio quality. 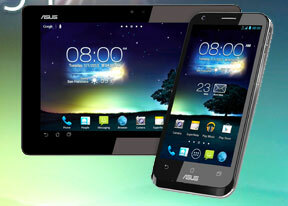 Such a shame asus lacks the marketing power and branding prowess of Samsung or else this device would be a hit. Awesome review as usual GA, Just wondering about one bit on the connectivity page... "isn't part of Nexus 4's connectivity list." And for the record it has LTE and RADIO. So happy you did the review GSMarena you are awesome and I am grateful for it. Have to say, the battery life and performance are all things I was singing for a long time despite some people really arguing with me that it wasn't that great. So there you go a rating of 56 Hrs on a 4.7 inch phone that only has a 2140 mah battery. Beats sgs3, and even passes iPhone 5. Ps the battery tests is that with the station or just on battery? i LOVE ASUS products and this is another gorgeous one.